The Fitzgeralds came to us to create a "unique artistic piece" to celebrate their family. The idea was to create an ornamental tree. James suggested that the leaves would represent family members and each relative would stamp their initials onto their respective leaf. The Fitzgeralds gathered the family for the stamping at a most appropriate time: Thanksgiving. 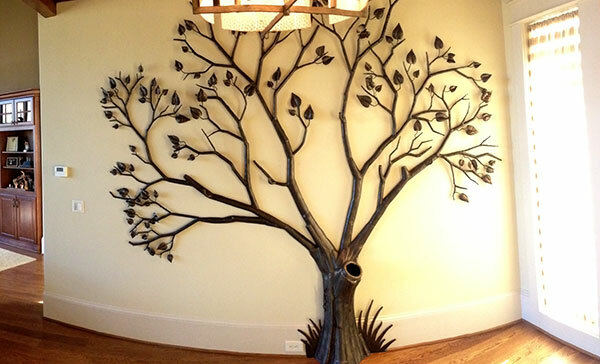 The result is a commemorative family tree with strong emotional value because of the lasting legacy that it captured.